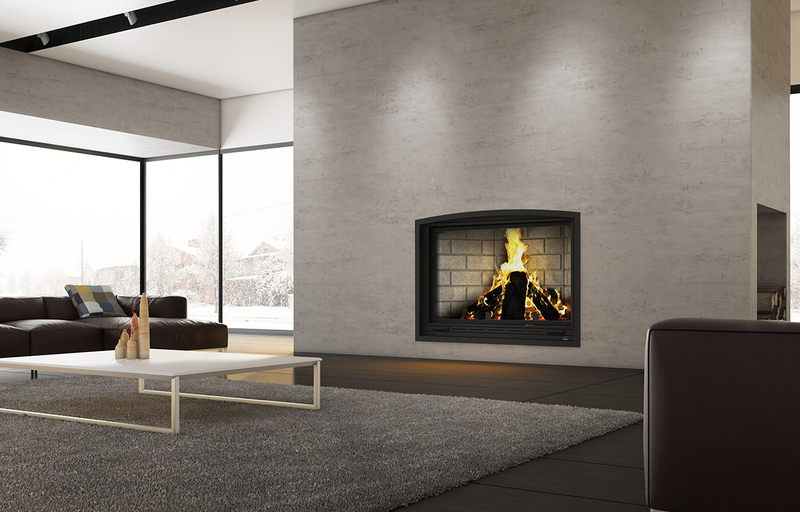 Dare to design... the fireplace of your dreams, while being environmentally friendly! Frontenac is not only the name of a grand hotel located in the heart of Quebec City, Canada. It is also the largest fireplace of the Valcourt brand. 100% of the last 6 homeowners who have registered their warranty are satisfied with this product. GLASS HEARTH PAD 10 mm - 20" X 70"
Glass surface – dimensions (Width X Height) 40 3/4" X 23 7/8"
Overall dimension (Height) 74 3/4"
Overall dimension (Width) 59 1/2"
Overall dimension (Depth) 34 1/2"
Door opening – dimension (Height) 27 1/8"
Door opening - dimension (Width) 44 1/2"
Firebox – dimension (Height) 35"
Firebox – dimension (Width) 31 1/4"
Firebox – dimension (Depth) 10 3/4"
Clearance – combustible top mantle to unit 74 13/16" 74 13/16"
Clearance – combustible side wall to unit 20" 20"